What Is Continuum Mechanics And How It Is Related To Academics? In the world of today physics and chemistry are growing with the speed of light. It is important to understand that the relation between these two is very deep and there is no chance that one can grow without another. There is no space for one single aspect because in order to describe one single matter and its properties both the physical and chemical natures are taken under consideration. In the nineteenth century one French mathematician Augustin-Louis Cauchy introduced a model that described Continuum mechanics in a prolific manner. The term is important to be understood and what the function of it is even more important to be understood. It is nothing but section of mechanics that deals with the analysis of kinematics of a continuous mass rather than the individual particles that formed the object. The theory helped the scientists to understand the physical property of a matter and how does it function when it is introduced to kinetic energy. The theory is quite simple from outside but for people who are looking for an inner deduction of the thought, it is a matter that is not that simple for anyone. The objects are not taken in an atom formation. It means that there is a chain of particles that are not separated from each other. It is one of the most important things that are needed to be taken under consideration. The theory says that if one object is taking one place then it is taking it in full and there is no gap within it. It is also important to know that the theory is also comprehending all the basic laws of physics. Conservation of mass, the conservation of momentum, and the conservation of energy all of them are considered before making the law. The theory can be simply applied to all kind of objects like solids, liquids and gases. It is a known fact that in any element atom is present and in a microscopic level there is crack of discontinuity in the formation. Filling the gaps and theorizing it to be a ‘continuum’, meaning there is no gap in the molecule and it can be continuously divided in different particles. In mechanics the importance of this theory is prominent and people from different genres are taking the use of it and it has become a great prospect to understand the functionality of a matter. In the world mechanical property understanding this aspect is taken under consideration. It is seen that in the world of mechanics of an object the theory can be implemented regardless of what kind of matter that is. The state of the matter was never a factor to be taken under consideration and that is why it is a theory that can be accepted in every context. Something universal is easier to understand and in this concept the same rule is applied. The best thing that can be assured with this is nothing but a continuous understanding of the entire kinematics of the object. It is necessary to understand that the scientists are trying to make deduction of the theory in a mathematical level because in this level of data analysis understanding something and providing proper information is really easy. Apart from this it is important to understand that the kinematics analysis of a projectile is highly necessary in order to understand the other physical factors that are related to the velocity, speed and other aspects of it. The most of the cases it is seen that analysis of an atom’s kinematics was a matter of problem but after incarnation of different laws and theories it became easy. In this aspect the availability of the continuum mechanics is a bless for the scientists. The kinetic energy of any particle is very much useful in order to subsidies the other power sources. By taking this thing under consideration one country can make huge change in the power generation section and it is being used in many cases. The most of the cases it is seen promulgation of this theory made a huge change in the energy generation section for the betterment of all. Understanding the fluid mechanics is a hard thing for any engineering student and with implementation of differential equation of this topic it has also become easy for everyone. There was a need of such kind of equation for understanding the aspects that are related to the fluid mechanics subject and it provided all of them to the teachers who are trying to provide information on it to their students. Explanation provided by the subject is really good and in order to understand and comprehend with the aspects that are related to the thinking of pre-described knowledge by several researchers. In order to complete degree course in mechanics it is important for students like to comprehend with this topic because the faculties of different universities like to give assignment on the topic. In this perspective it is important to ensure a service that can provide better academic assistance from the rest of the options that are available in the internet. A company that can be entrusted is EssayCorp because they have the perfect team to deal in this section. The writers are efficient enough to provide you highly important data and complete your assignment on time. Apart from that it is important to know that you will never found a good kind of assistance like them in a desirable rate they are offering. Being in a place where the service providers are aware of what to be done and waiting for the information magnifies the possibility of getting the best grades that are going to help you in your professional life. 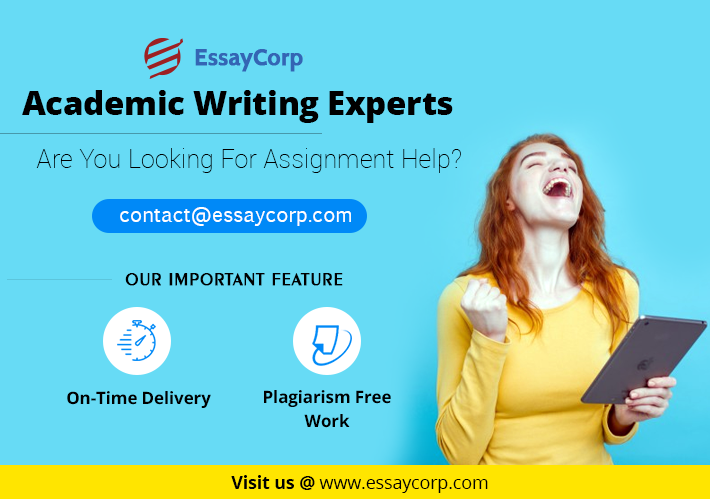 From the perspective of getting an all-time support EssayCorp is a good kind of option to be taken under consideration. No need to be worried about the quality because all the papers comes with supreme quality assurance and plagiarism check. You are just a mail away from getting a world class academic assistance on continuum mechanics.